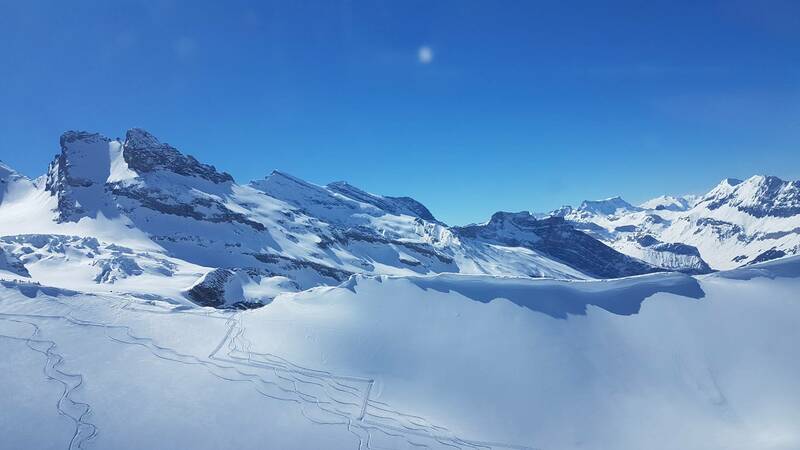 After a stunning scenic flight past the mighty Eiger, Mönch and Jungfrau with their 13 500 ft (4000 m) high peaks you will land on the ice fields of a mountain glacier. 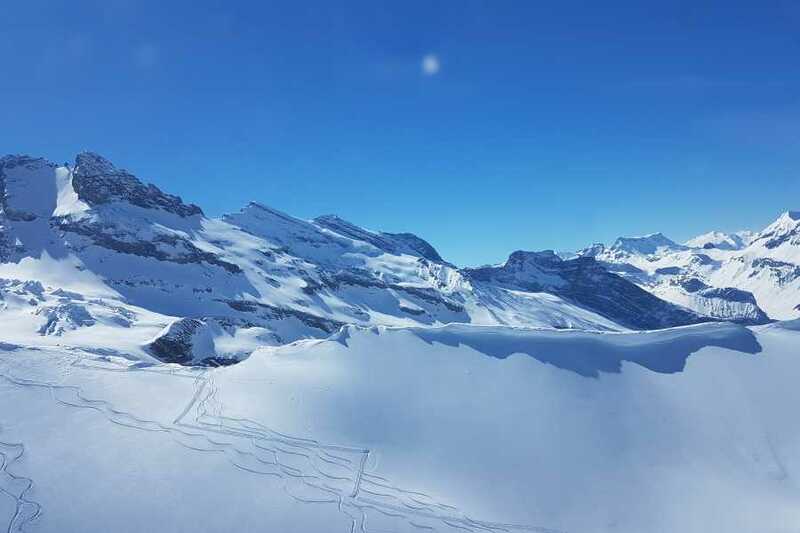 This is the luxurious way to experience the path less travelled that is normally explored by the fit and fearless mountaineers. 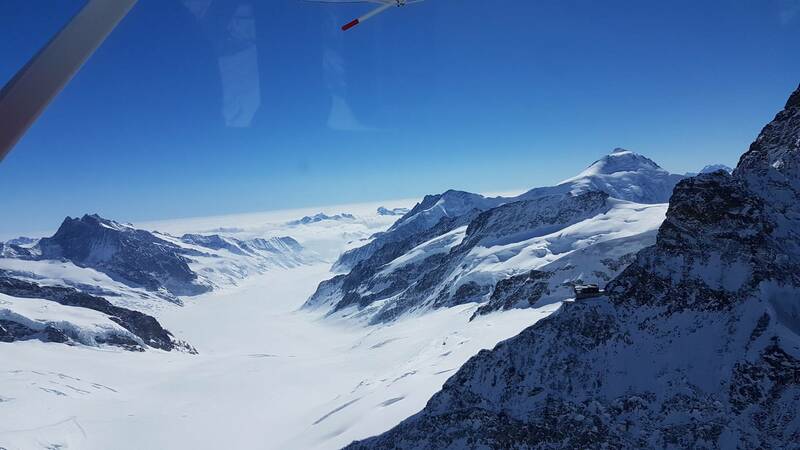 The meeting place is the Scenic Air base in Reichenbach. You will be greeted on arrival by our friendly staff. 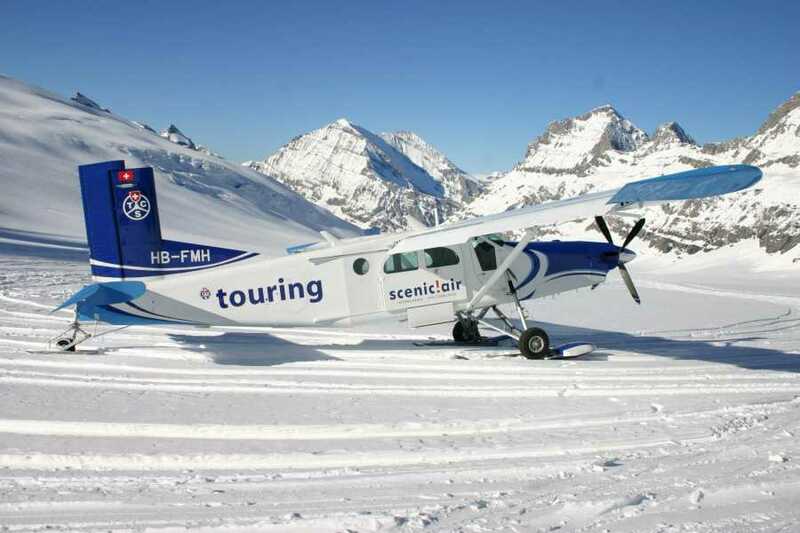 The pilot will acquaint you with Scenic Air’s safety regulations and provide a fascinating insight into what awaits you upon the glacier. 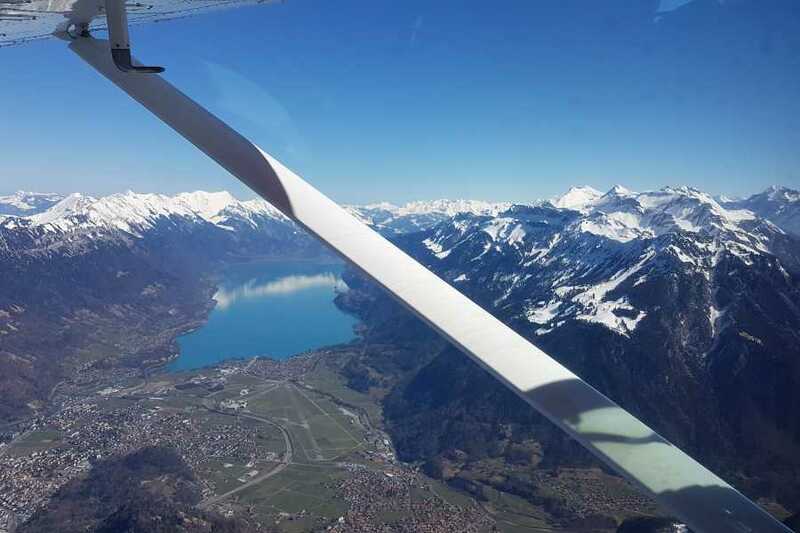 After take-off you will fly over Interlaken, along Lake Brienz, past the majestic mountains of the Bernese Oberland, and on to the Kanderfirn. 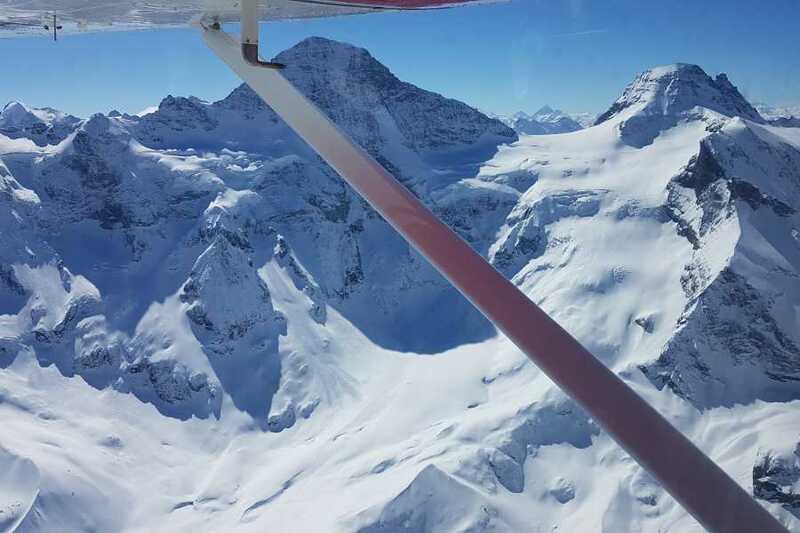 As the pilot points out the landing field, it is hard to imagine that it's at all possible. 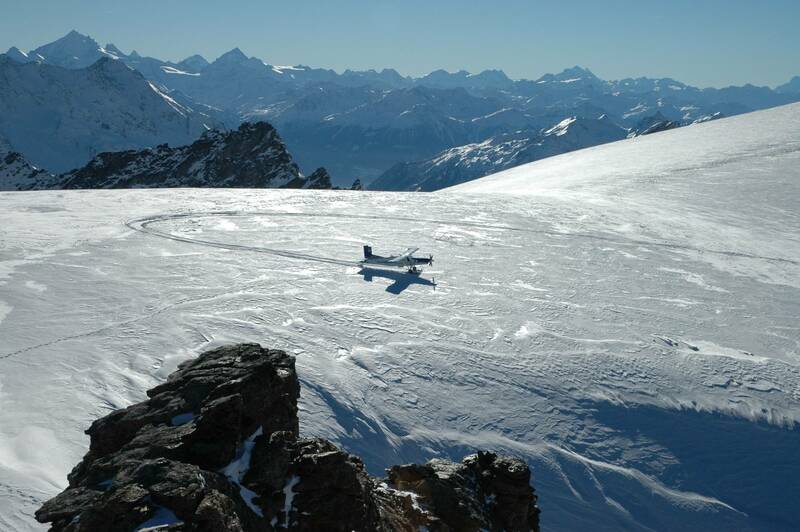 To make a unique experience even more special, you can bring your own apèro to enjoy on the glacier before re-boarding the plane for your return flight over the Kander valley to Reichenbach. 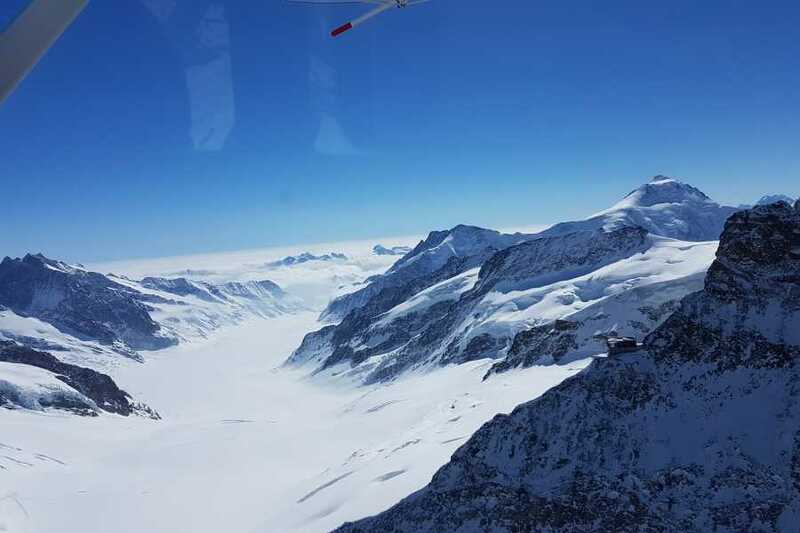 The meeting place is the Scenic Air base in Reichenbach. You will be greeted on arrival by our friendly staff. 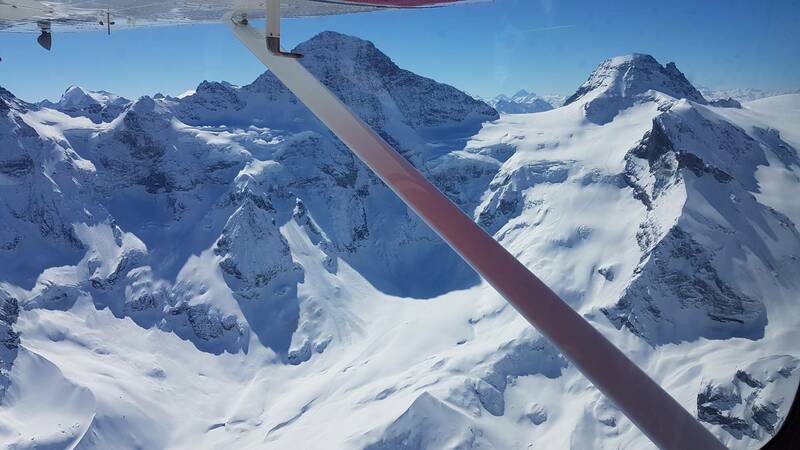 The pilot will acquaint you with Scenic Air’s safety regulations and provide a fascinating insight into what awaits you upon the glacier. 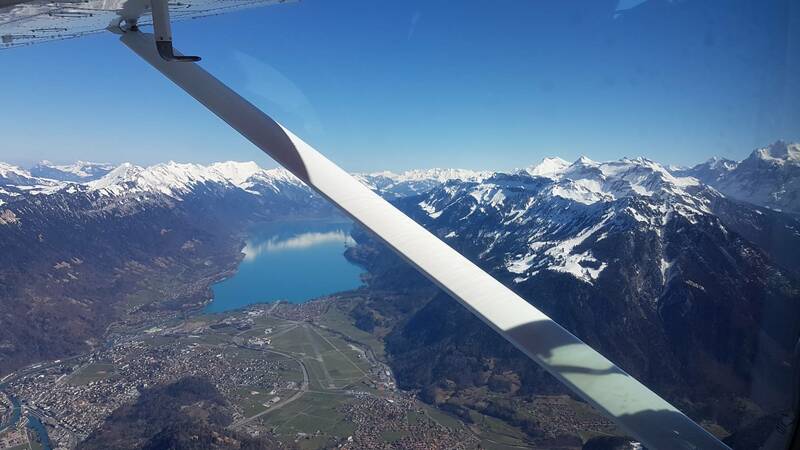 After take-off you will fly over Interlaken, along Lake Brienz, past the majestic mountains of the Bernese Oberland, and on to the Kanderfirn. 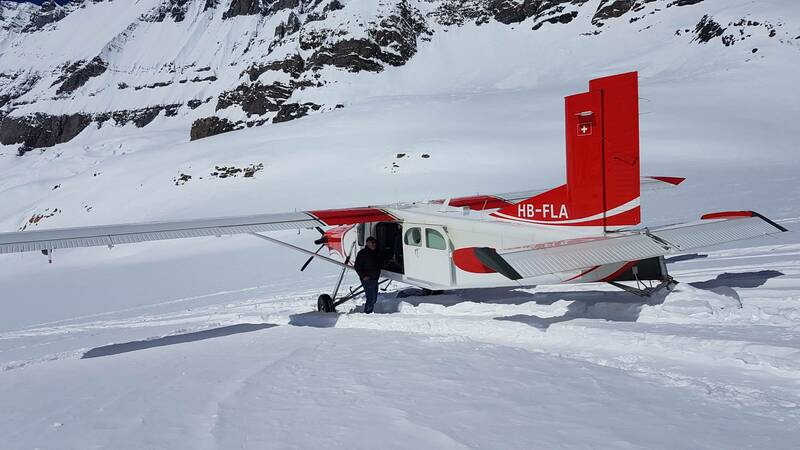 As the pilot points out the landing field, it is hard to imagine that it's at all possible. 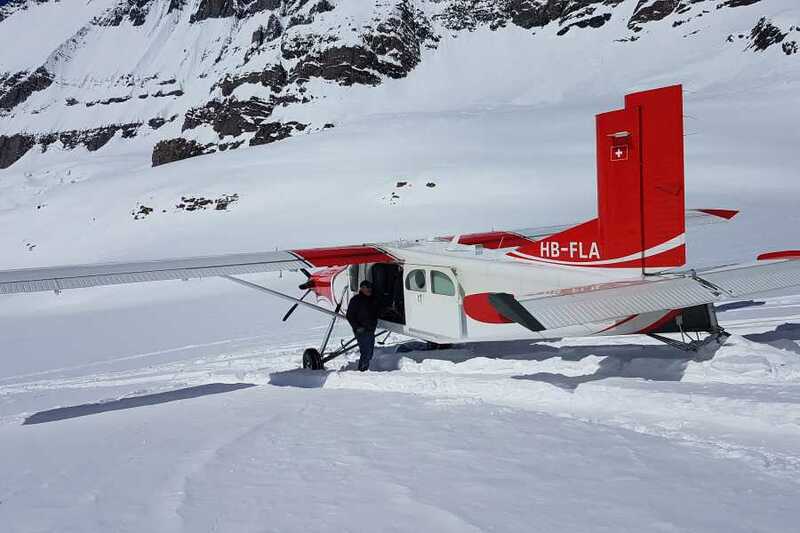 To make a unique experience even more special, we also offer the opportunity of an apèro on the glacier, before re-boarding the plane for your return flight over the Kander valley and back to Reichenbach.